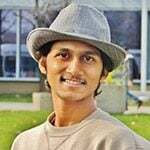 Trevor Fernandes has gone from India to Canada to study environmental technology. He's interested in the Earth's natural resources like drinking water. If I had to ask you, what is it that really makes you happy, what would your answer be? Previously I had written a blog about my journey so far. Now I’d like to share my key to success and happiness. It’s a master key that I discovered which can keep you from getting homesick while unlocking many doors to achieving your ultimate goal. I was aware of the fact that I would have some spare time, at least for the first six months, as international students are not eligible to work off campus for that period of time. What do we generally do in our spare time – watch TV? Social networking? Hanging out with friends? I’m sure these are a few obvious ones. However, it is important for those intending to come to Canada to know, that Canadians appreciate those who are generous in donating their time by building stronger, more vibrant communities. We are the future, the choices we make today will have a direct effect on our lives and possibly the communities’ children. Remember the master key I mentioned above? This is what I was talking about. I cannot emphasize enough how important it is to be socially involved, assisting in any and every way possible. 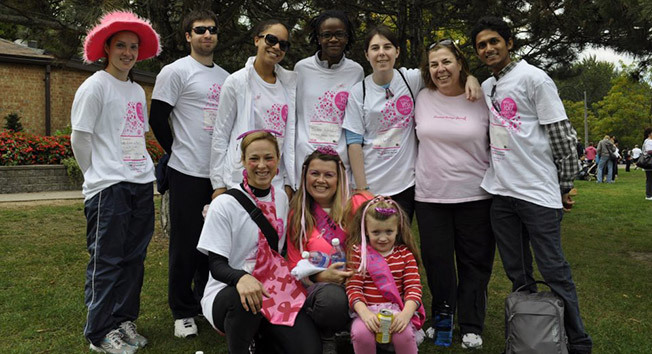 My first project with Durham College was to raise funds for Breast Cancer Research. Organising a jive dance workshop for them proved to be an excellent idea. I feel, using one’s talents for the good of the community is the best way one can say ‘thank-you’ for the gift of life. 2. It introduces you to important people in society, thus helping to build your network, similar to how you would use social media like Facebook and Twitter to network. Durham College (DC) encourages international students to be involved in society and understand the Canadian lifestyle and culture. This is important because employers look out for students who are able to adapt to their surroundings. One of the reasons I was a successful candidate for the position as a student mentor at DC was my volunteer experience in India and Canada. DC offers a co-curricular recognition system with leadership points for outstanding leadership activities demonstrated by students. To achieve this, one must have the ability to demonstrate the qualities of a leader, platforms such as the DC Crew and the Green Sustainability team provide opportunities for the same. All this adds a cherry to the cake when you present your diploma to an employer and helps you stand out of the crowd. Well, success cannot be measured by the wealth you earn or the possessions you have. It’s the humble and generous heart that is the richest as it has found the true meaning of happiness. Finally, happiness is where you are and what you want to be. Let’s build an ‘ARK’ by performing an Act of Random Kindness no matter where we are in the world irrespective of nationality, religion or colour because what goes around comes around.